Announced to be in development at E3 2016, Insomniac’s take on Spider-Man has had fans in a fever pitch of excitement ever since. 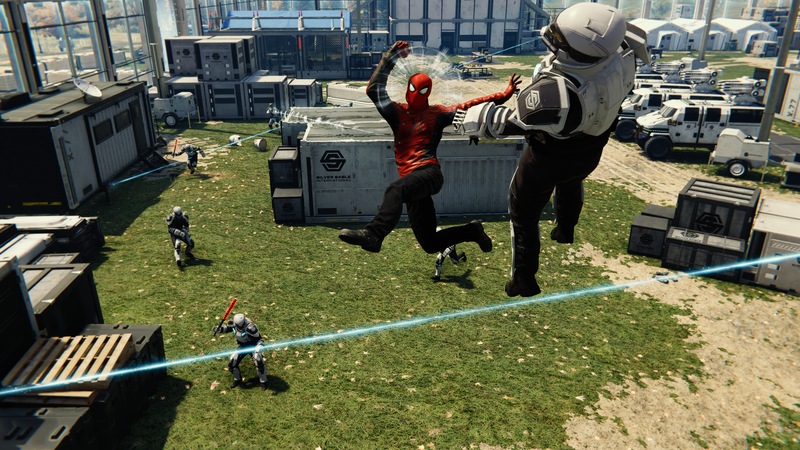 After cutting their teeth on a game that had similar over the top acrobatics in Sunset Overdrive, many fans were wondering what they could do with the freedom of everyone’s favorite web-slinger. 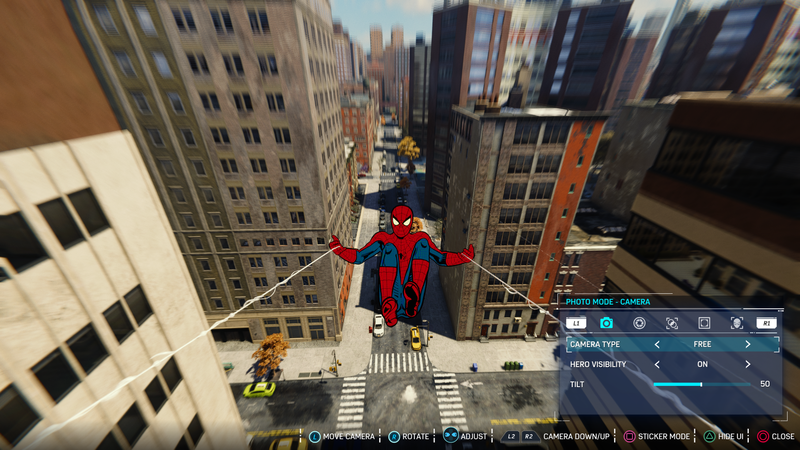 Though it did suffer one major delay, causing the game to move from 2017 to 2018, we’ve finally got an opportunity to soar through New York City once again as our friendly neighborhood hero. Having not played a Spider-Man game that I enjoyed since Ultimate Spider-Man I have been incredibly excited for this game, especially given the awesome track record of Insomniac Games. Predictable but well written, the story focuses on an older Peter Parker, who is dealing with the problems of adulthood; he’s late on his rent, his paid internship with Otto Octavius is always at the brink of being shut down, and at the beginning of the story him and Mary Jane are not on speaking terms. The game opens with an amazing tutorial where Spider-Man is participating in a large scale raid of Fisk tower, base of the Kingpin. The large building allows you to gain an understanding of combat and stealth, as well as platforming and enemy types. The dialogue is incredibly well written and stands out with its own charm, not sounding like the dialogue many are used to from any of the Spider-Man films. Spider-Man is genuinely funny, and a touch I found interesting is that he understands that his bad jokes in the face of danger are a subconscious self-defense mechanism. No character is wasted, ranging from great pathos to goofy comic book shenanigans, but the two character styles never clash with each other. Each character is additionally very well acted, from Aunt May’s kindness to Miles’ excitement upon meeting Spider-Man. 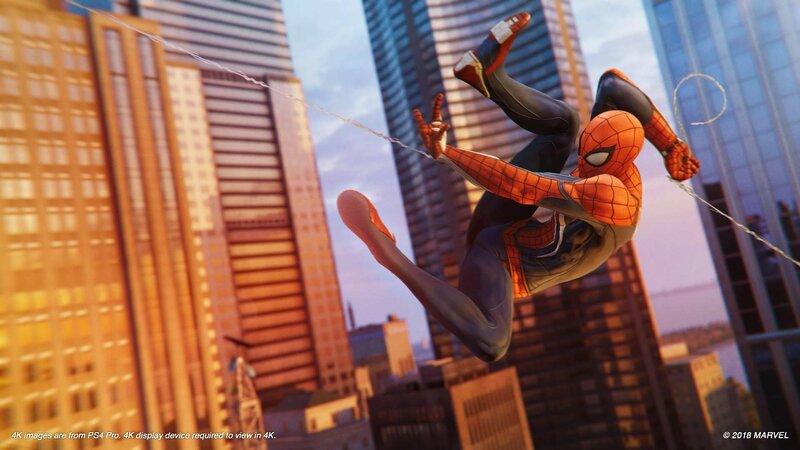 A special nod has to be given to the voice actor of Peter Parker, Yuri Lowenthal, who had to record two versions of every telephone conversation that can be heard while roaming the city, as there is a “at rest” version and “strained version” for when he is swinging. That is some amazing attention to detail! Spider-Man’s game play is best described as “exactly what you would expect” especially if you have experience with the previous games, albeit with a wealth of refinements to each of the core systems. Web slinging is simple and intuitive, being dedicated to only three buttons; R2 to swing, X to zip and maintain altitude, and L2+R2 to snap to specific points. Zip and snap can do different things in certain contexts, which brings a lot of the cool parkour elements to life, including cinematic effects like slow motion passes through large pipes in construction yards, or shooting across an entire roof top in an instant. 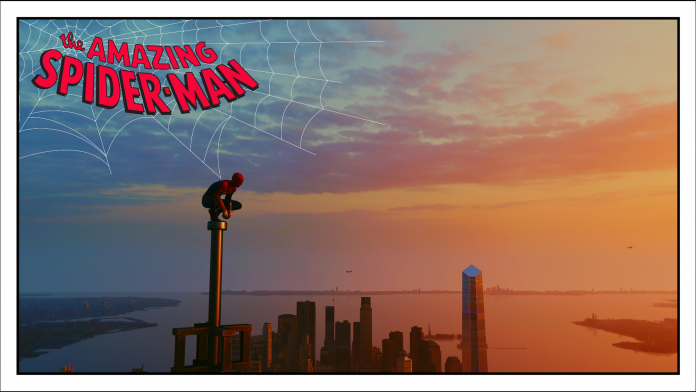 The blending of cinematography and gameplay is ever-present throughout the entirety of Spider-Man, and some of my favorite moments came down to simply traversing the city, and how the atmosphere thrust you right into the moment. There are a few points during the narrative where Insomniac seamlessly transitions from a cut scene of Spider-Man jumping out of a window straight into you controlling him in mid-air, creating the ultimate immersion into the story. Combat is frantic, and is probably the only part of the game with a small learning curve. Spider-Man does not track enemies very heavily, and must rely on zipping to enemies, swinging towards them, or using your gadgets to incapacitate them. Several enemies at a time will have hand guns and rifles, and snatching a gun is very slow, so sometimes you have to enter into a dodge-ballet to circumvent your enemies. This becomes less of an issue as you obtain gadgets, allowing for all sorts of fun possibilities and combinations. For instance, throwing a Web Bomb into a group of enemies followed by a blast from your Concussive Web Shooters will send enemies flying to be stuck to any surface they collide with. If there is any low point for game play, it is the stealth sections where you play as Mary Jane Watson or Miles Morales. The first couple of these are rather dry, as they are introductory missions that more serve to advance the story, and do not present much difficulty. There are constant check points, meaning getting caught is of little to no concern because you’re simply not pushed very far back in progression. Later sections allow for the use of gadgets and stun guns, allowing you to hack enemy equipment or incapacitate them. There are two stand out sections of these missions that turn into sections reminiscent of point and click mysteries. I especially liked these, as this allowed Insomniac to show off tighter level design and attention to detail. There are also two entertaining mini games that can be accessed from Otto Octavius’ lab to earn a few upgrade tokens; an image matching game with addition and subtraction spaces, as well as a mathematical version of Pipe Dream. I found myself getting lost on these for several minutes, ignoring story and other side missions in favor of completing another puzzle. 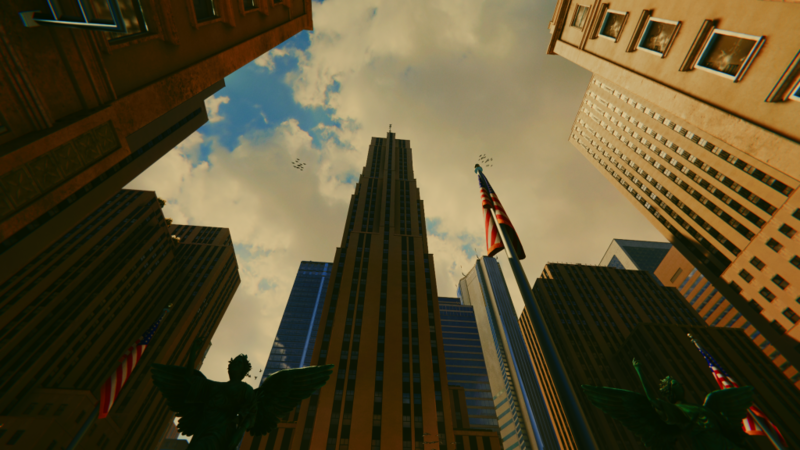 The newly designed New York City is absolutely jam-packed with places to visit and collectibles to obtain. Back packs and landmark photos are a blast to collect in comparison to collecting items in previous Spider-Man games, which often began to feel tedious. Each back pack includes a memento from Peter’s past, such as his old glasses, or the menu from Peter and Mary Jane’s first date. Taking pictures of famous New York landmarks makes the city have more character, as you’re encouraged to find these spots instead of passing them by. There are also 50 hidden landmarks to photograph that don’t appear on the map for the most avid shutterbugs. Beyond that, Marvel’s Spider-Man can be a little standard when it comes to the open world side quests. Go take down this base, go do this platforming challenge, go stop this crime; at a point these activities feel less integrated into the world and slightly more repetitive. 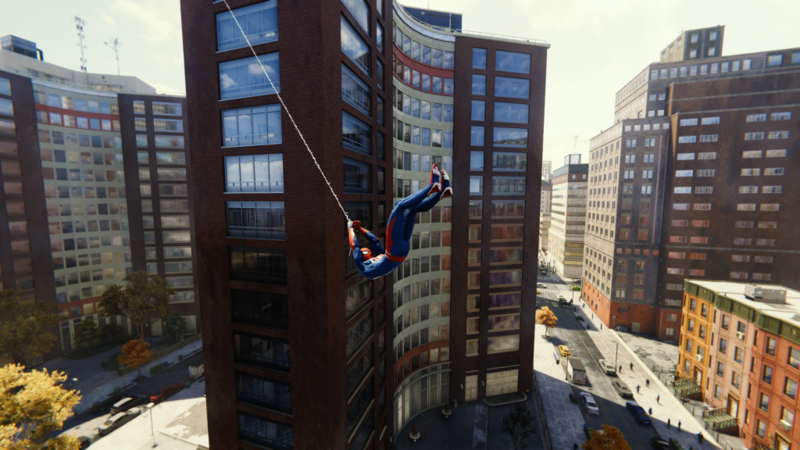 I found that the platforming and web swinging missions were gone all too soon, and without a story point to care about I found it a lot harder to stay invested in completing bases and crime missions. Marvel were the first ones to approach Sony Interactive Entertainment with the intent of a Marvel game that “felt like a first party Sony title” and it shows. Using a hyper realistic art style, the game achieves some of the best facial animations I’ve seen in recent times. Characters eyes have minute twitches to them during conversations, scanning another face as they desperately look for the answer they want during intense situations, or carefully fixated on another during tender moments. I haven’t seen detail to quite that level since L.A. Noire, and it made for a very immersive experience during cut scenes. The faces range from strikingly believable to occasionally falling slightly into the uncanny valley, but are all remarkably constructed. Any fan of the comic books, shows, or games will want to swing through New York in style, and Spider-Man’s suits are all rich with detail, with several original suits designed by Insomniac staff. 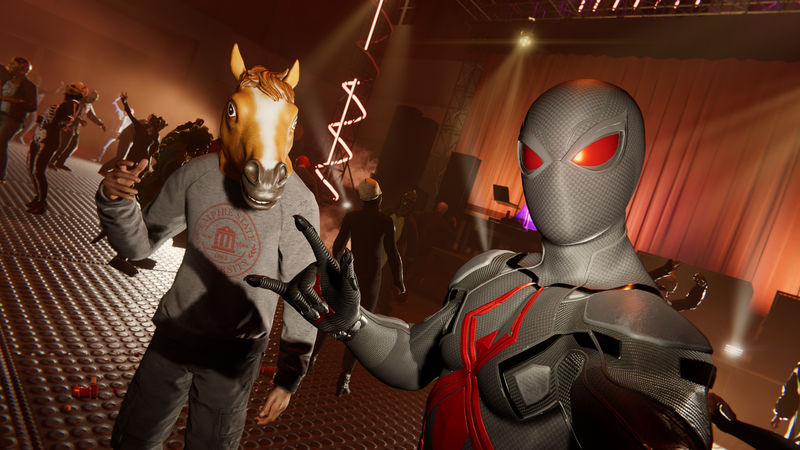 They’ve also included a wealth of classic costumes you would expect such as Spider-Man Noir, Spider-Man 2099, and even a cel-shaded comic book styled costume. Contrary to the exceptional graphical design, nothing stands out especially in the audio department that would elevate the game to that same cinematic level. As far as strikes, web noises, or even menu selection, they all leave a little something to be desired. The soundtrack is composed by John Paesano, whose credits include the Netflix series’ Daredevil and The Defenders, along with the DC animated film Superman/Batman: Apocalypse. While the soundtrack is assuredly well composed, it is definitely a quintessential “super hero soundtrack” which has never resonated with me personally. Rushing violins, French horns, and a choir sound every time Spider-Man takes to the air with his web shooters, evoking memories of the web swinging scenes of the Sam Raimi franchise. Marvel’s Spider-Man is not mind-blowing in any sense, but it is a great victory for Spider-Man fans as it represents the first original narrative since 2011’s Spider-Man: Edge of Time. Insomniac lived up to all expectations, and while it doesn’t appear to bring anything mold shattering to Spider-Man games, it delivers an experience worth buying for gamers and web heads alike. Gorgeous graphics, amazing web swinging, and a gripping story will keep you in the heroes’ mind set for quite some time. Stealth sections may be a nice break or frustrating distraction, but it is only a small segue from a great game. The review copy of this game was individually purchased by the reviewer.